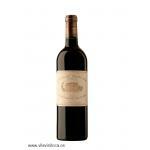 It is difficult to sum up in a few lines the long and splendid history of the estate. 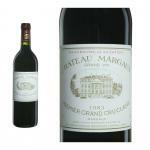 It could perhaps be entitled 'There was once an estate called Château Margaux'. It was already known in the 12th century and at that time had the name 'La Mothe de Margaux' but there were not yet any vines. In 1152, Eleanor, the heiress to the Duchy of Aquitaine, married Henry Plantagenet, the future King Henry II of England; and so Aquitaine was to belong to England until 1453 (the illustration here shows the surrender of the town of Bordeaux to the French in October 1453, at the end of the Hundred Years War). 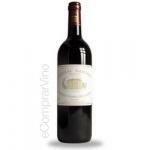 This was a real blessing for the wines of Bordeaux, which then found their way straight onto the English market. Richard the Lionheart, the son of Eleanor and Henry II, adopted claret as his everyday drinking. The successive owners of La Mothe de Margaux were of course important people belonging to the nobility, but it was only when the Lestonnac family took over, that the estate started to resemble what it is today. Pierre de Lestonnac succeeded in 10 years, from 1572 to 1582, in completely restructuring the property and in so doing anticipated the future development of the Médoc which was to start abandoning the cultivation of cereal crops in favour of vines. By the end of the 17th century, Château Margaux covered 265 hectares (654 acres), a surface area which it never abandoned thereafter, a third of which was devoted to vine-growing, as is the case today. 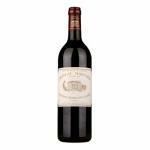 The English and Dutch drank claret, a wine which was still quite pale and did not age very well. Château Margaux became a high place in the art of making wine, and the hierarchy between the different Bordeaux growths began to appear. 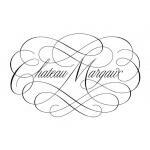 Château Margaux had been born.